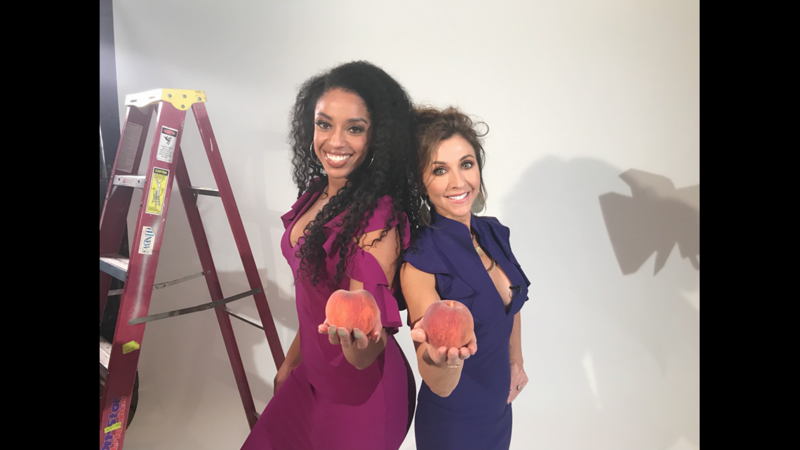 The A-Scene and our huge network of #ASceneInsiders take pride in keeping up with the industry’s spectacular footprint on the city of Atlanta and its surrounding counties. 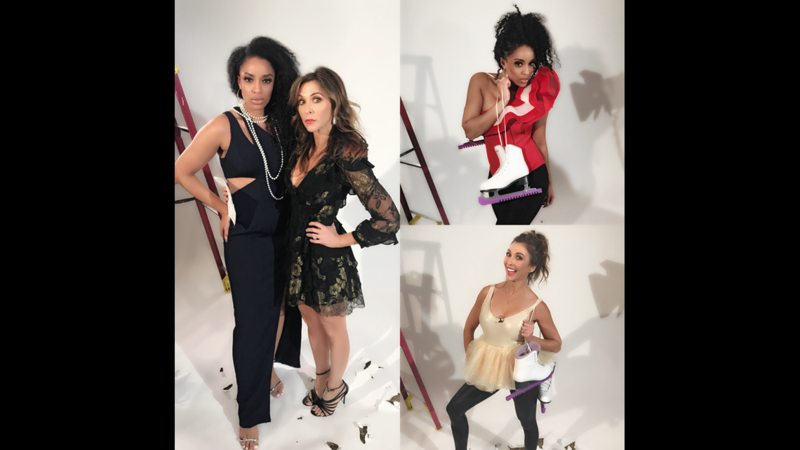 Georgia’s momentum as the next capital for film and television continues to reach new peaks as several popular and new production crews transform neighborhoods into scenes from award-winning projects including "Stranger Things," "The Walking Dead," "The Real Housewives of Atlanta" and "Avengers," just to name a few. 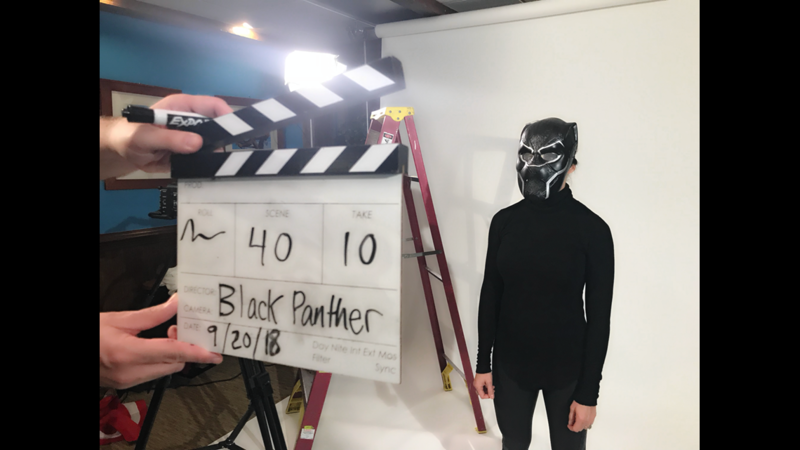 “We are very fortunate to have state leadership that understands the vital role that the entertainment industry plays in Georgia’s economic prosperity,” said Georgia Department of Economic Development Commissioner Pat Wilson. 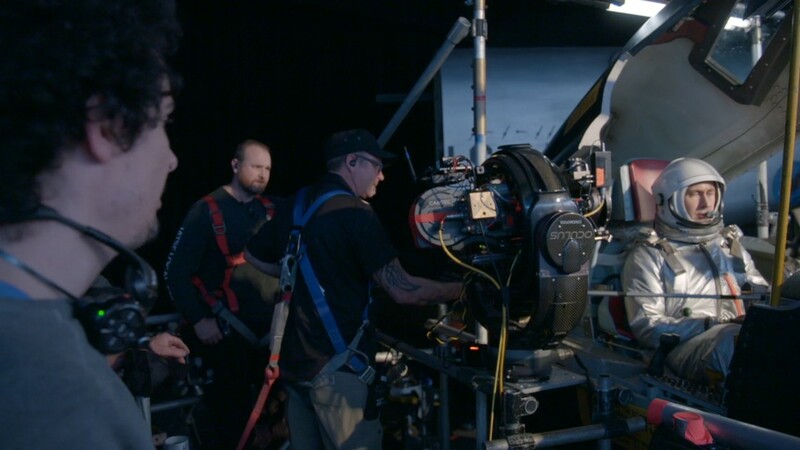 “The film industry creates jobs across almost every profession, in addition to camera, lighting and audio, film companies hire Georgians with skills in a myriad of support services including construction, catering, transportation, accounting and payroll and post-production. 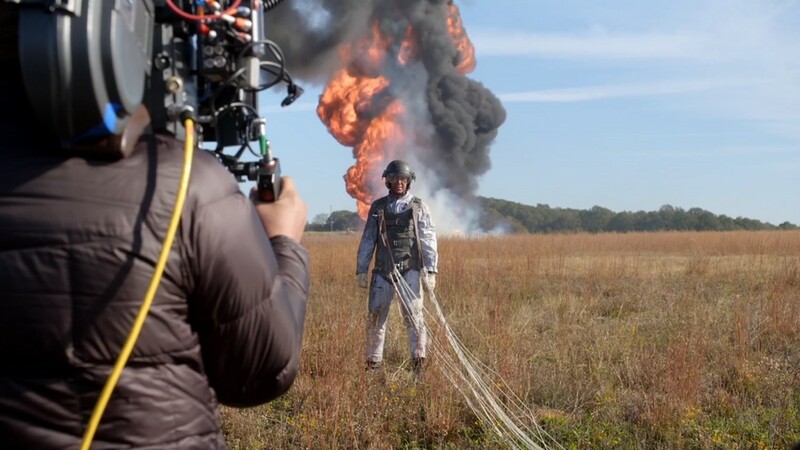 Thank you to all our friends in the industry for helping to make Georgia the top filming location in the country." 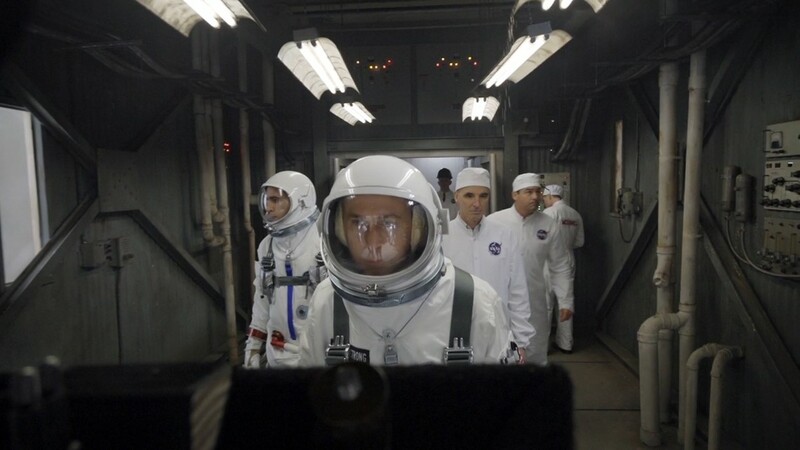 Here’s a look at the film and television shows being produced in in Atlanta! 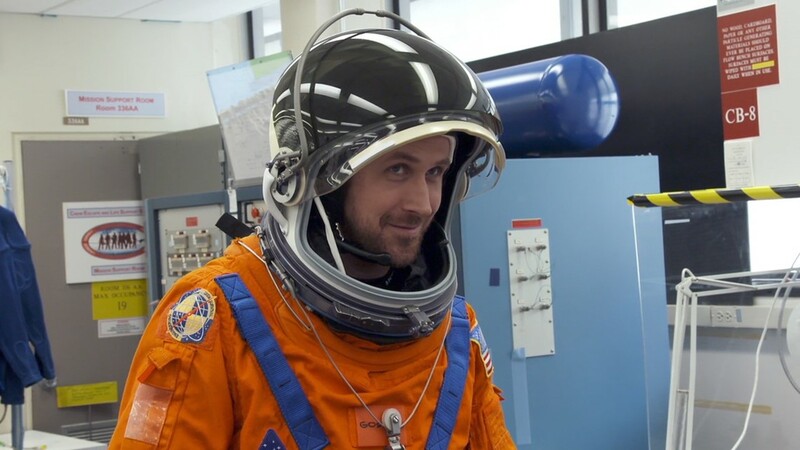 'First Man'/Universal starring Ryan Gosling filmed in parts of Atlanta. 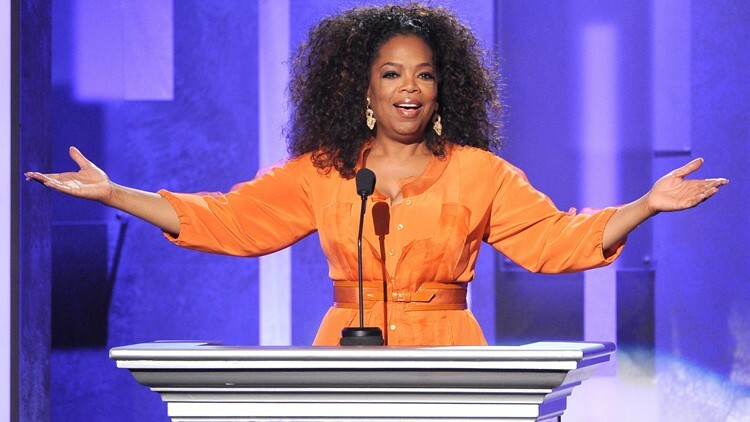 Ambitions (PRODUCTION ALIAS – AMB) – Oprah Winfrey Network, Will Packer, and Lionsgate Television have joined forces for a new scripted drama filming in Atlanta. 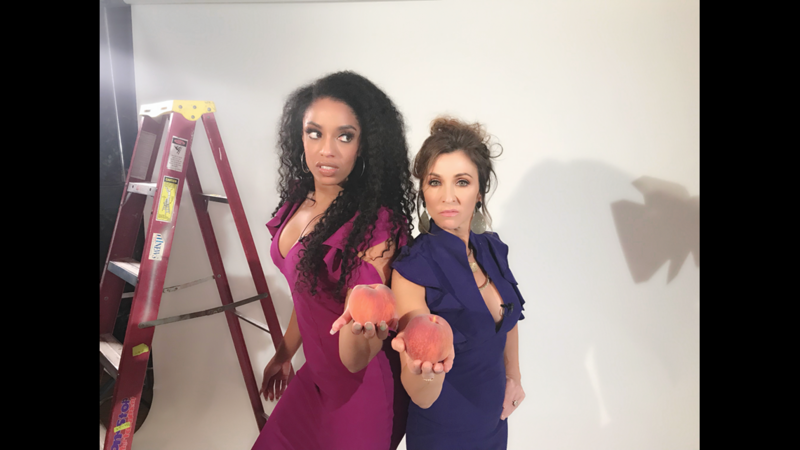 “Ambitions” (working title) is a multigenerational family saga centered around one woman who, having recently relocated and intent on revitalizing her marriage, finds herself going head to head with some of the most powerful and deceitful players in the city. 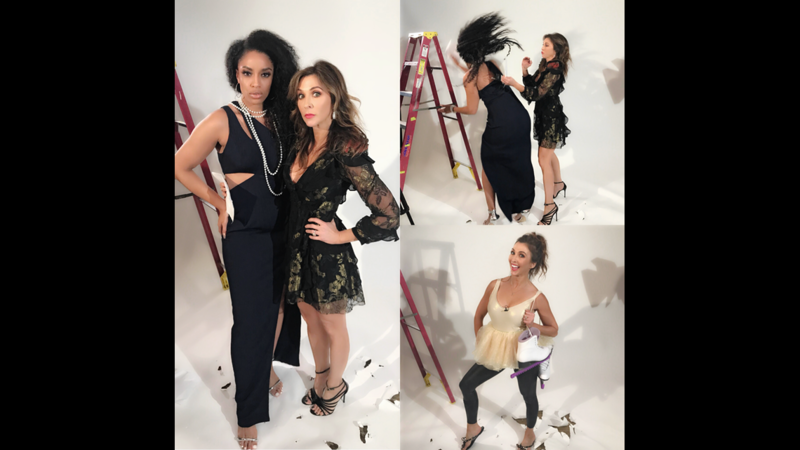 “Ambitions" will begin production later this year and will debut on OWN in 2019. 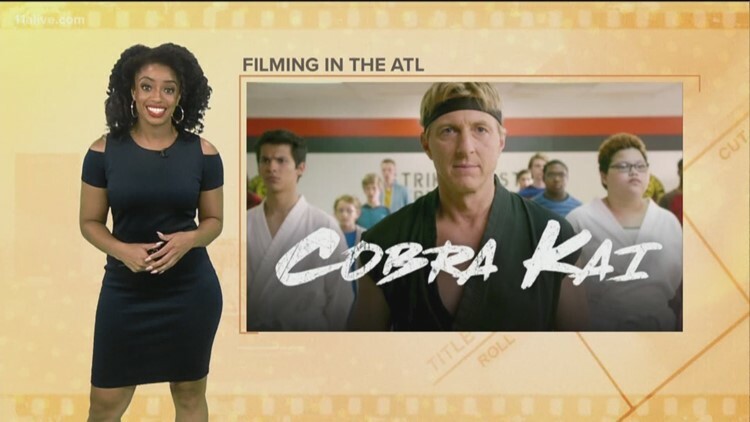 Cobra Kai (PRODUCTION ALIAS – CK) – Jon Hurwitz, Hayden Schlossberg, and Josh Heald created the show inspired by the Karate Kid film series. 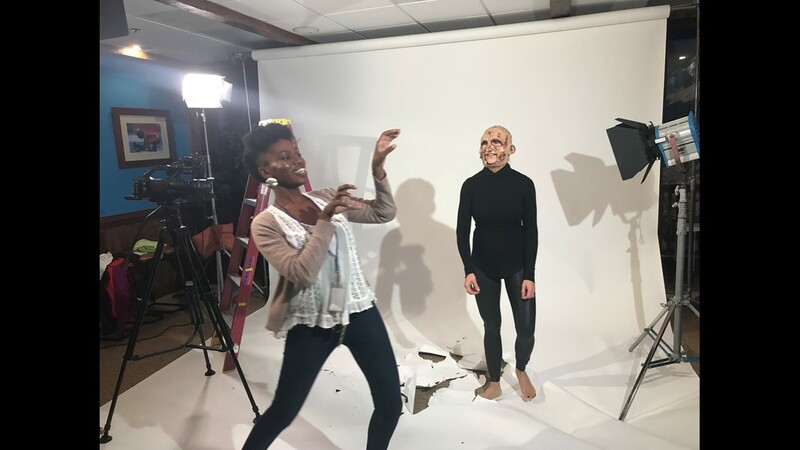 Production for the web series, which is published on YouTube, has casted dozens of local talent in Atlanta. 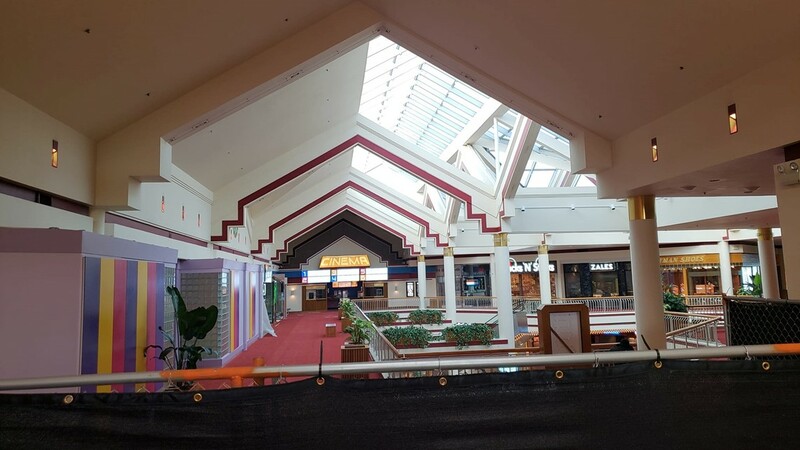 Under the production alias CK, crews have been spotted in Marietta, North DeKalb Mall, and Fayetteville. Boomerang (PRODUCTION ALIAS: PTV) – Eddie Murphy, Halle Berry and Robin starred in the 1990’s comedy “Boomerang.” The film was a love story wrapped in a hilarious battle of the sexes in a corporate workplace. Berry later propelled to become an Oscar-winning actress following a series of breakout films. According to Internet Movie Database, “Boomerang” grossed $70,100,000 domestically at the box office. Fast forward to 2018 and Halle Berry and Lena Waithe are reincarnating “Boomerang” in the form of an upcoming sitcom that will air on BET. 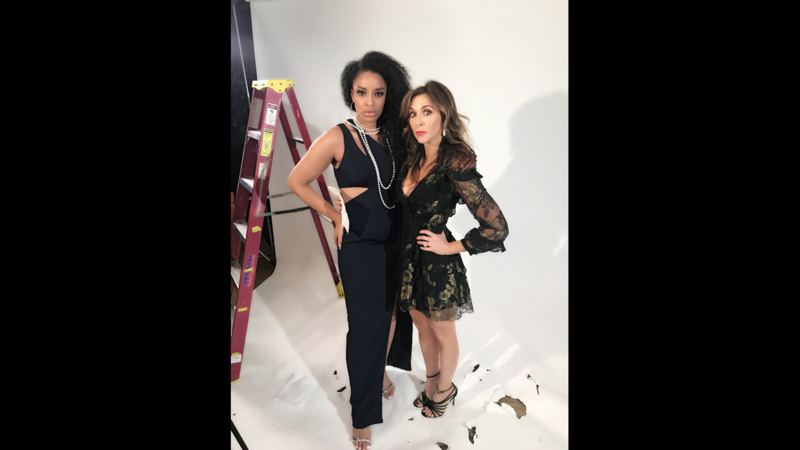 “I’m thrilled to team up with Lena on this project as she is without a doubt a leading voice of her generation and a trail blazer in her own right. 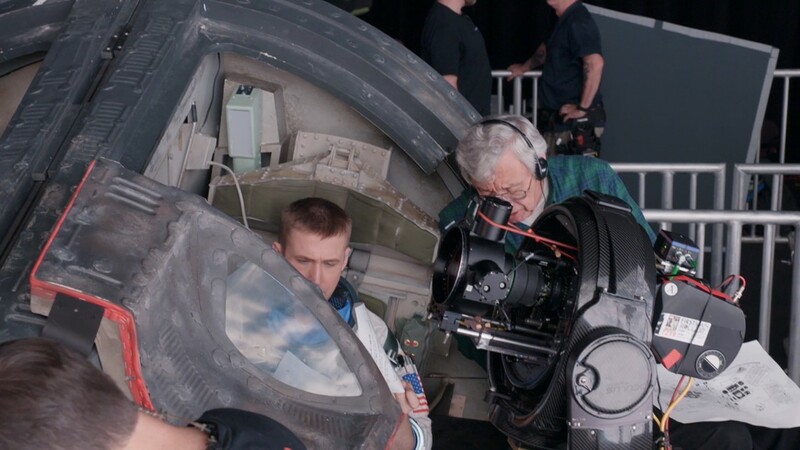 I’m truly excited to be a part of bringing this iconic and beloved film to the small screen,” Berry said. #ASCENEINSIDER Derick Luval Jones spotted a production for the show in SW Atlanta. 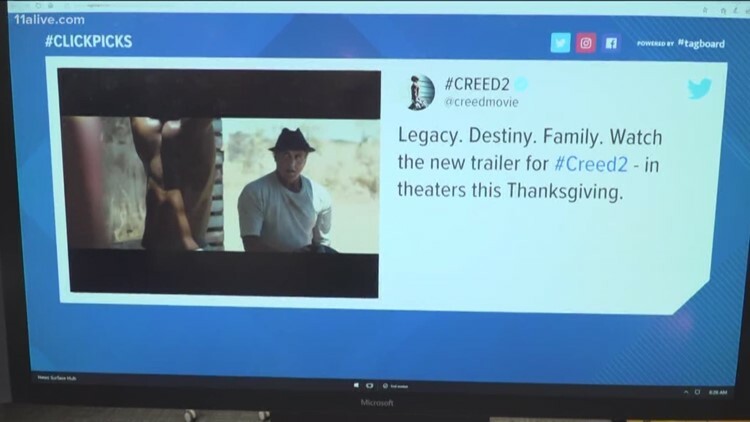 Expected to hit theaters in July 2019, the movie will also feature Rose Byrne and Jacob Lattimore. Paramount tapped writers Sam Pitman and Adam Cole-Kelly for the project. “Limited Partners” centers on two female friends who build a successful company, then find their relationship tested following a buyout offer, according to Variety. 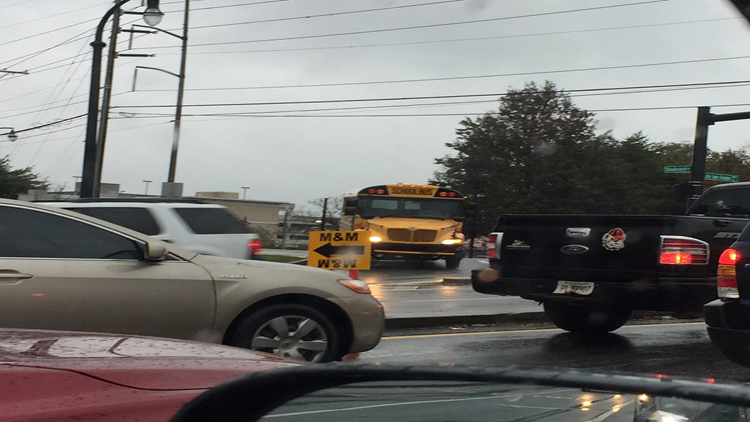 #ASCENEINSIDER Shannon Craig Daniel spotted the sign on John Lewis Freedom Parkway. 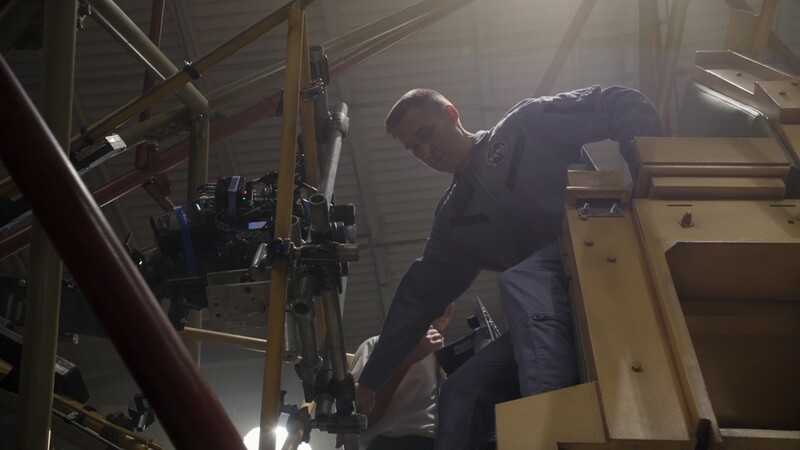 New Amazing Stories (Production Code: PUGET) - Crews working in downtown tell 13WMAZ confirmed details that a reboot of Steven Spielberg's "Amazing Stories" is in production. The series originally aired on TV from 1985-87 and featured Sci-Fi short stories. While the show did well critically, it didn't get a lot of viewers and was dropped after two seasons. 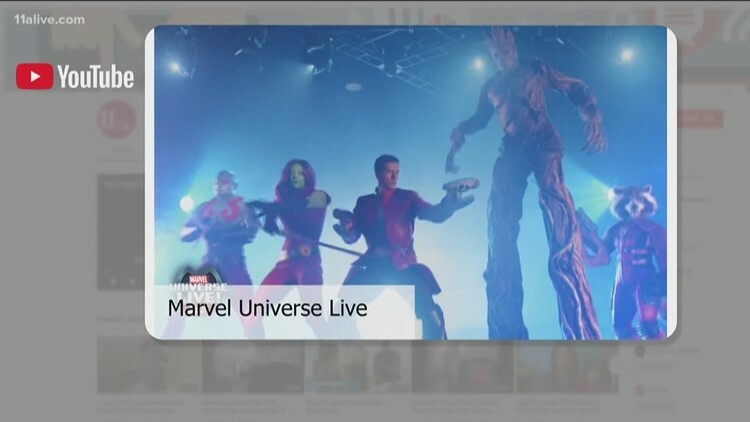 The show's reboot is one of the major pieces of Apple TV's move into original streaming content. Crews were out Thursday transforming the courthouse square for the shoot. A sign outside the Monroe County Courthouse reads, "Bradford Police." They've also got plenty of props standing by inside. Central Casting put out a casting call for the project "Puget Sound" -- that's the production code name tied to "Amazing Stories." Miranda Davis spotted Steven Spielberg's "Amazing Stories" on Hwy 155 McDonough/Locust Grove off of I-75: She writers " “PUGET”. ?!?!?" Miranda Davis spotted Steven Spielberg's "Amazing Stories" on Hwy 155 McDonough/Locust Grove off of I-75. Francesca Amiker spoke with Gaten Matarazzo, who plays Dustin on the show, during the Prime time Emmy's. 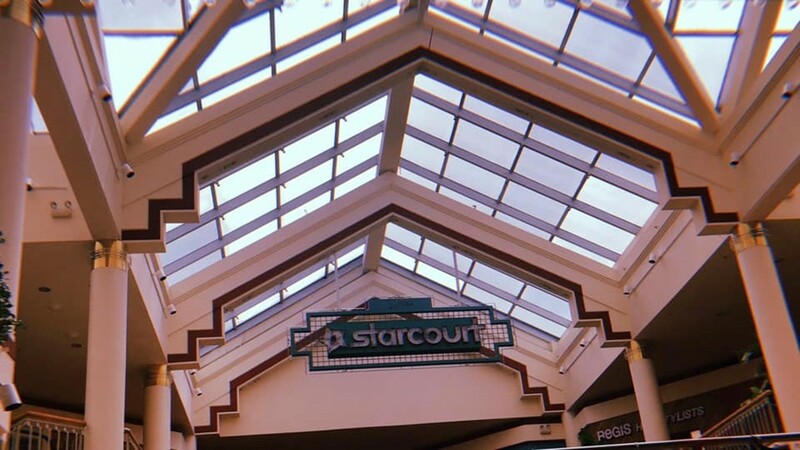 The rising star did confirm that he and his cast mates are filming scenes of the highly-anticipated third season during this time. 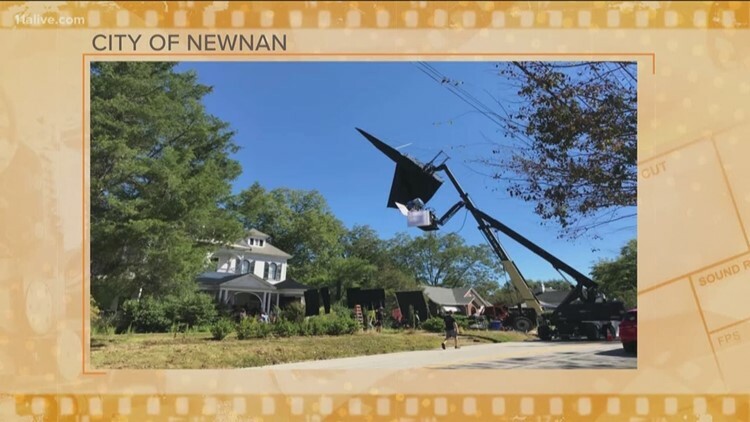 The A-Scene is stepping back into the fictional town of Hawkins, where the castmates of 'Stranger Things' will be filming scenes for season three. The first season of "Stranger Things" was a love letter to ’80s classics that captivated a generation. 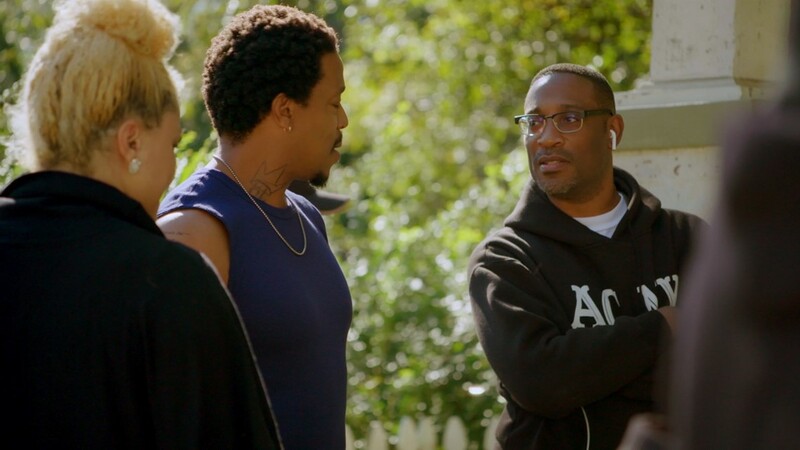 American Soul (PRODUCTION ALIAS: AMSO) - Production for BET’s “American Soul” kicked off late September in Atlanta under the production code “AMSO." The scripted-drama series chronicles the untold rise of 'Soul Train." 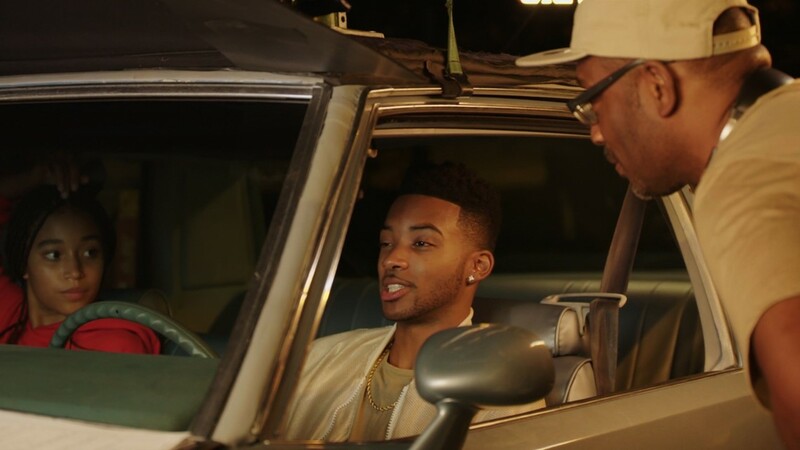 Inspired by the personal trials and professional successes of a young, ambitious and troubled Don Cornelius, the 70s period drama is an unflinching look at the entrepreneur, his soul train dancers, and musicians set against the backdrop of a cutthroat Hollywood. #ASCENEINSIDER Brad Morris spotted production for BET's 'American Soul' at Pullman Yards. Kelly Price and Kelly Rowland will pull double duty on the music-based series, showcasing both their incredible voices and acting chops. 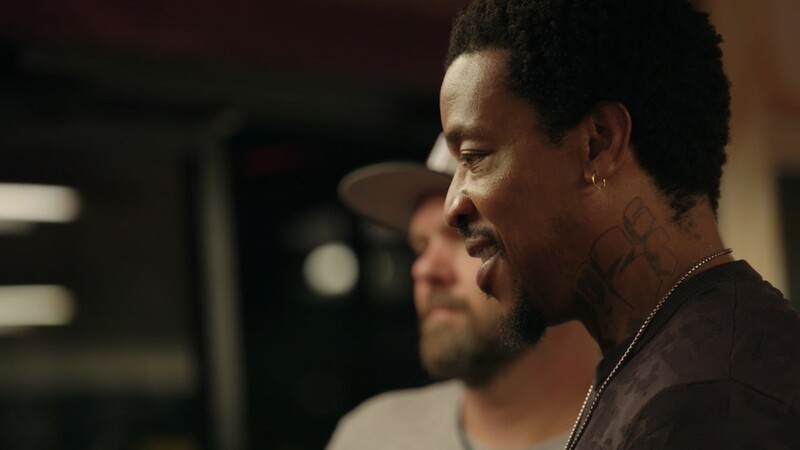 “American Soul” has been spotted in production in the areas of Lake Claire, Decatur, and the city of Atlanta. The series will come out in 2019. 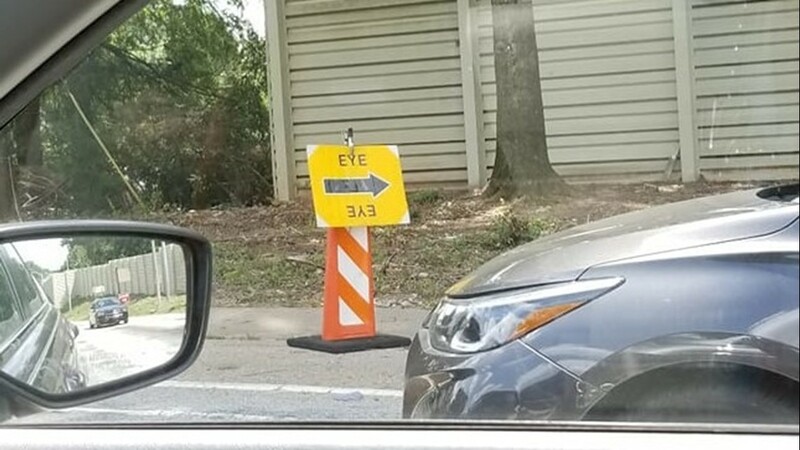 MacGyver (PRODUCTION ALIAS: EYE) - “MacGyver,” the CBS reboot of the classic series, continues production for season three in Loganville and other parts of Atlanta. 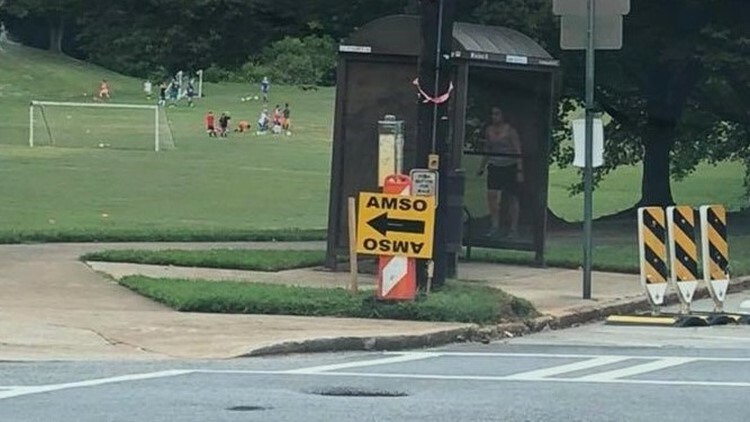 Under the production code “EYE,” crews have also been seen filming in Midtown and Grant Park. MacGyver first aired in 1985 and ran on television until 1992. In the reboot, 20-something Angus “Mac” MacGyver, creates a clandestine organization within the U.S. government, where he uses his extraordinary talent for unconventional problem-solving and his vast scientific knowledge to save lives. 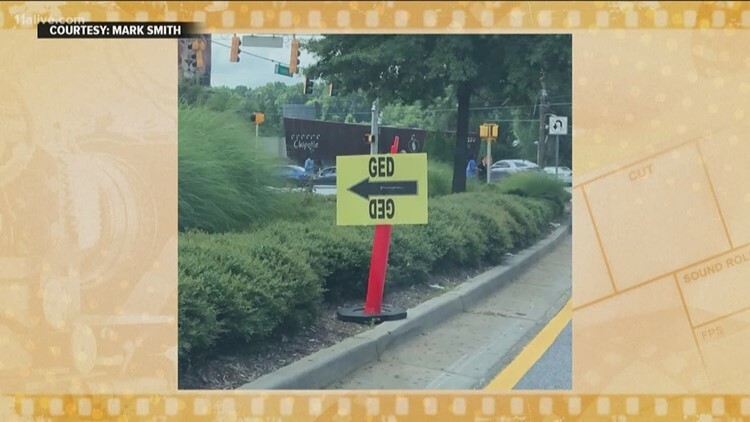 'Avengers' (PRODUCTION ALIAS: MARY LOU) - The latest "Avenger" movie is filming in Atlanta! Here’s what we know. The working title used for the movie is “Mary Lou." 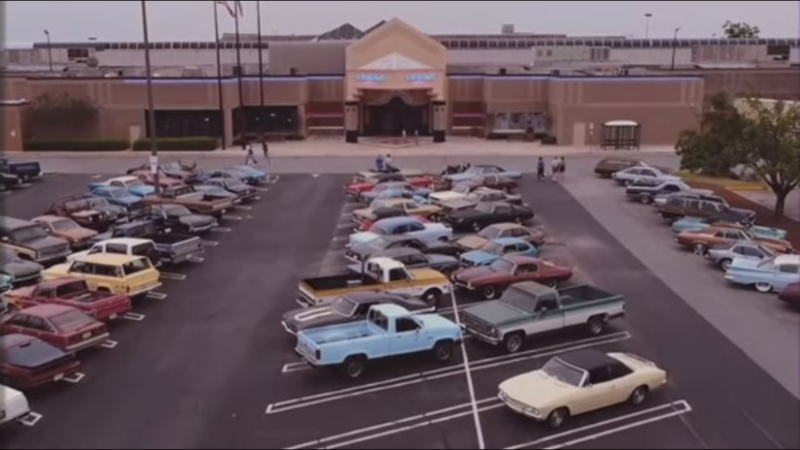 Scenes were filmed at the Woodruff Arts Center in Calloway Plaza. Productions crews will be recreating a skyscraper on fire. 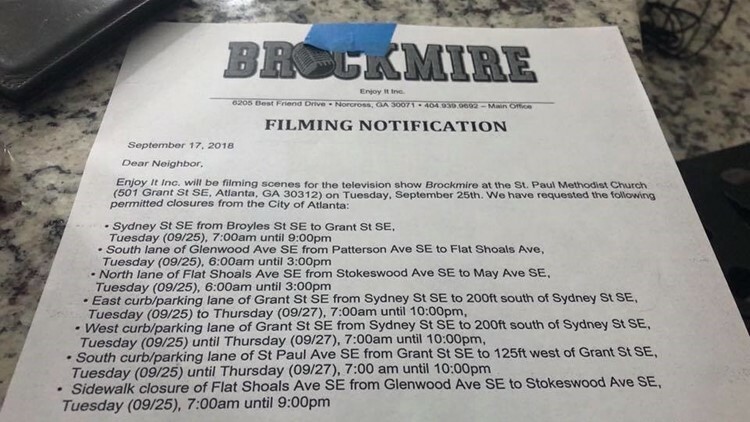 Raising Dion (PRODUCTION ALIAS : RD) - Netflix’s upcoming series “Raising Dion,” starring Michael B. Jordan and Jason Ritter, continues filming in Atlanta this month. The show is about a single mom must hide her young son's superpowers to protect him from exploitation while investigating their origins and her husband's death. Doctor Sleep (PRODUCTION ALIAS : J&D) - J&D is the one of the production codes used for "Doctor Sleep,” the sequel of "The Shining" filming in Covington. 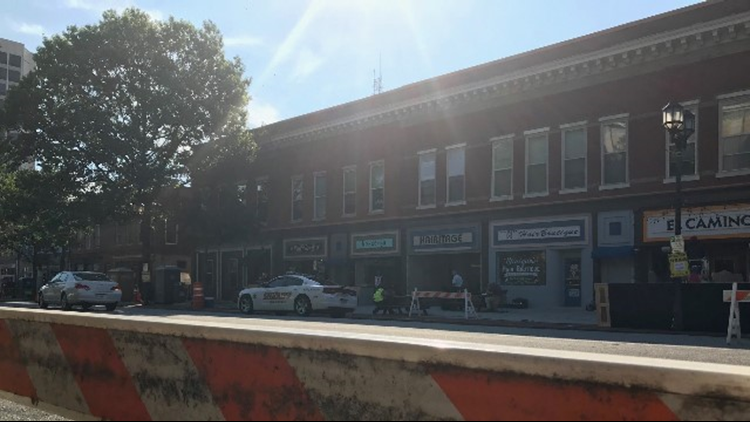 The Town Square of Covington shut down for production. And here’s what the A-Scene knows about the sequel: The film will star Rebecca Ferguson alongside Ewin McGregor. 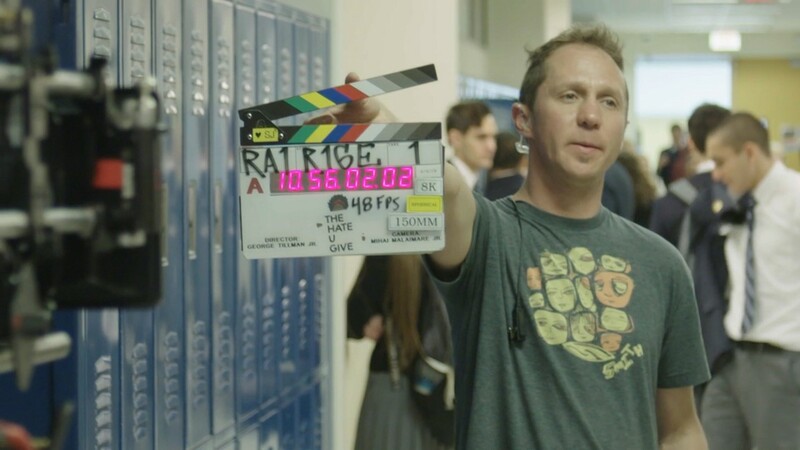 Mike Flannagan directs the film. The Douglas County Sentinel office in downtown Douglasville transformed into a 1960s bank for the film. 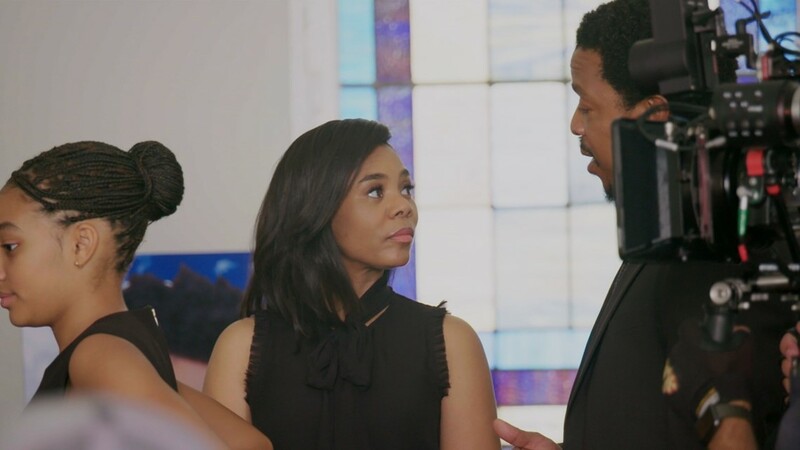 While details for the upcoming feature film have not been released, Anthony Mackie, Nia Long, and Nicholas Houston are some of stars announced to be in film. 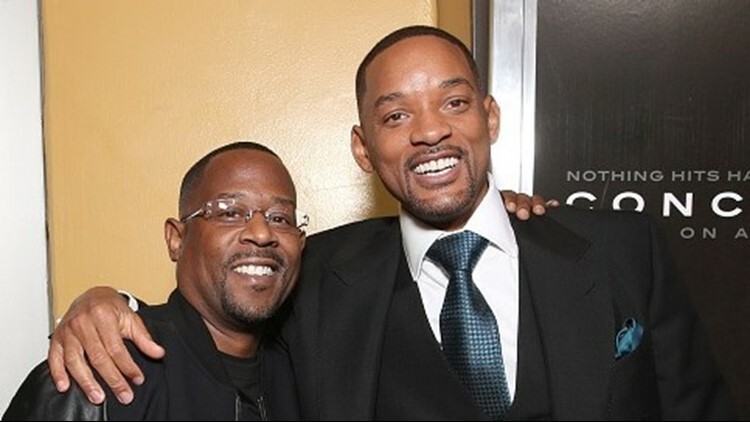 Bad Boys 4 Life (PRODUCTION ALIAS: TO BE ANNOUNCED) - The highly anticipated next installment of the "Bad Boys" film series starring Will Smith and Martin Lawrence is finally coming to the big screen. "Bad Boys For Life" has been green-lit by Sony Pictures and has started pre-production in Atlanta. Variety reports the plan for the third “Bad Boys” will be in theaters by Martin Luther King Jr. weekend in 2020. 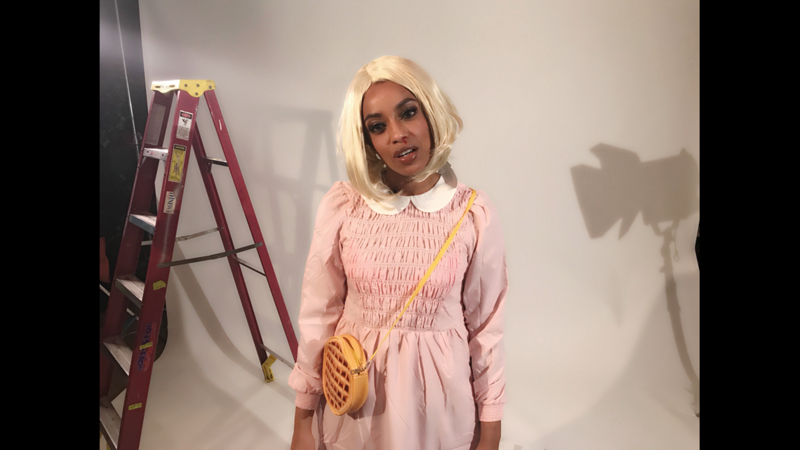 The film is being directed by Adil El Arbi and Bilall Fallah, who are most known for directing episodes of FX’s "Snowfall." 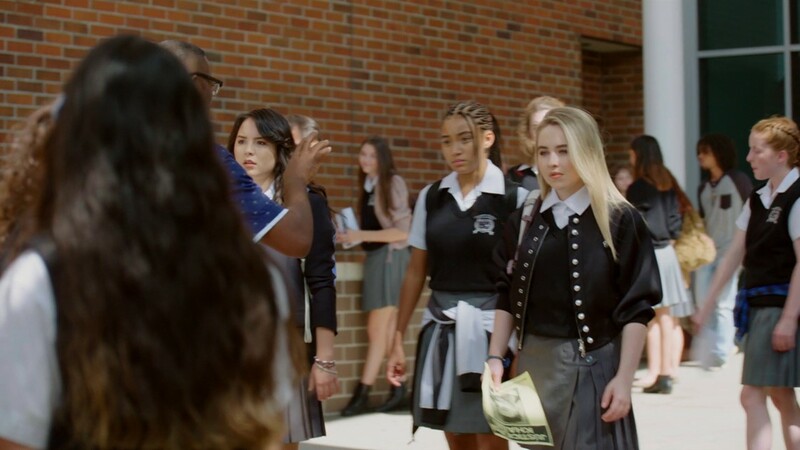 No details on when scenes with the two main stars will be happening, but our A-Scene Insiders will help us keep you in the loop with production and casting as we learn more. STAR (PRODUCTION ALIAS:SOS) - “SOS” is the code that the FOX series “Star” uses when it films here. 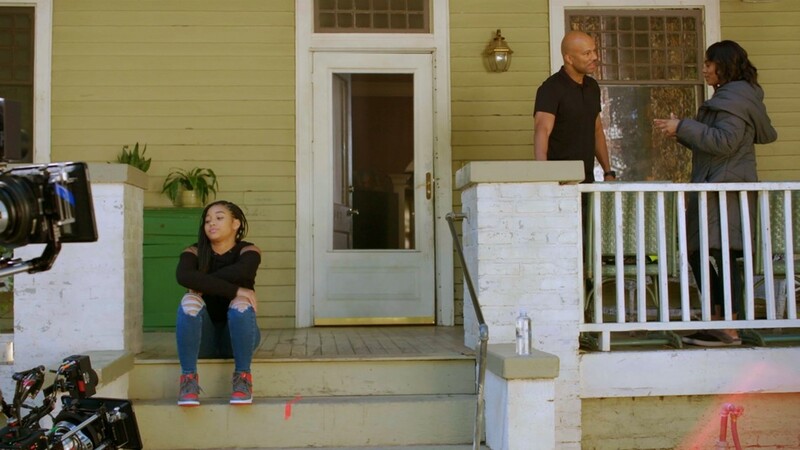 The Lee Daniels “Empire” spin off frequently films in throughout the city of Atlanta, including multiple production in Midtown. 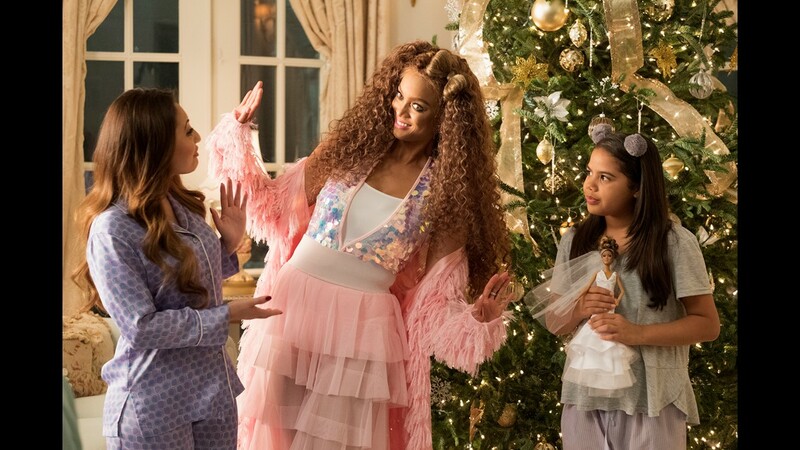 The series stars Jude Demorest, Queen Latifah, Ryan Destiny, and Brandy Norwood. Send your signs and celebrity sightings to the A-Scene! Thanks for catching this sign for 'Star' Tim Nichols, JR! The comedy centers around a man whose journey to find his birth mother ends with the discovery that he's a sextuplet. He starts searching for his other five brothers (all played by Wayans) only to discover he's bitten off more than he realized. Shoots in Atlanta are scheduled for throughout November. The show follows a group of outcast superheroes and an idealistic mad scientist as they investigate and protect Earth from strange phenomena. 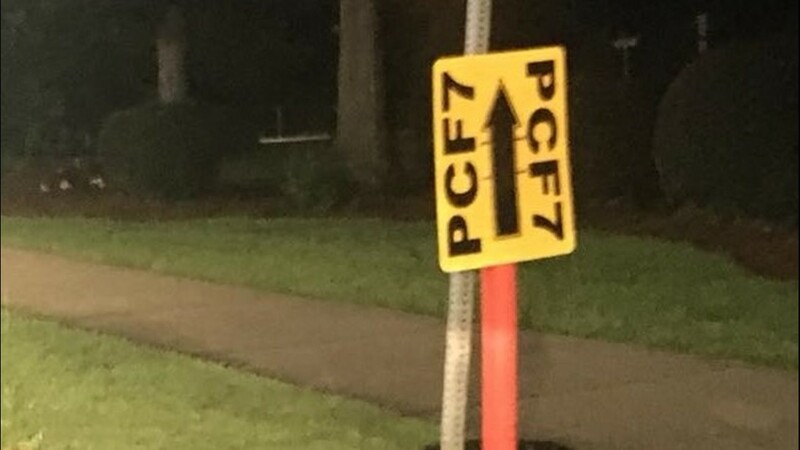 So far, we’ve seen casting calls for “Doom Patrol” calling for extras in Lawrenceville, Conyers, Loganville and Lithonia. 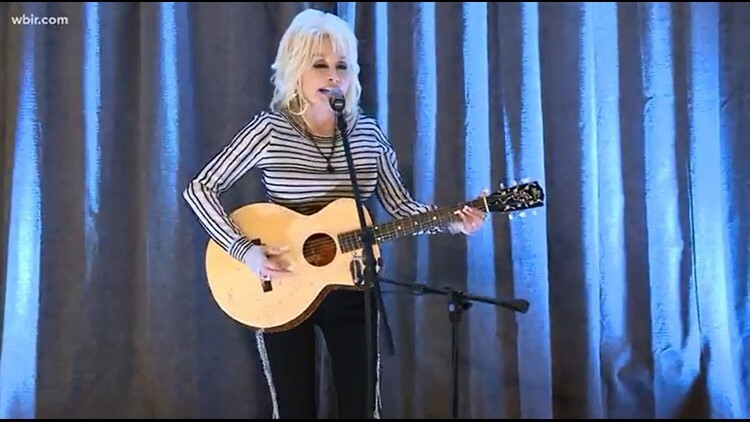 Dolly Parton’s Theatre (PRODUCTION ALIAS: BEULAH) - “BEULAH” is the production code used for Dolly Parton’s new television film series for Netflix in 2019 based on her classic songs. 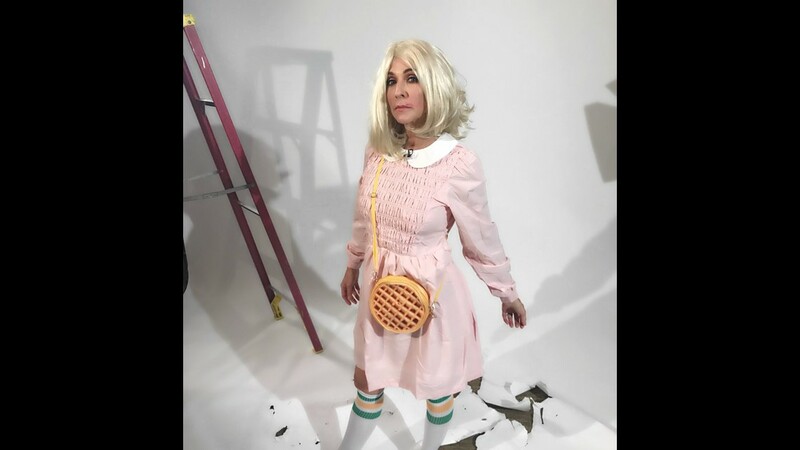 Dolly said each episode will be based on a different classic song she's performed and that she'll be appearing in select episodes. "As a songwriter, I have always enjoyed telling stories through my music. I am thrilled to be bringing some of my favorite songs to life with Netflix," she said. 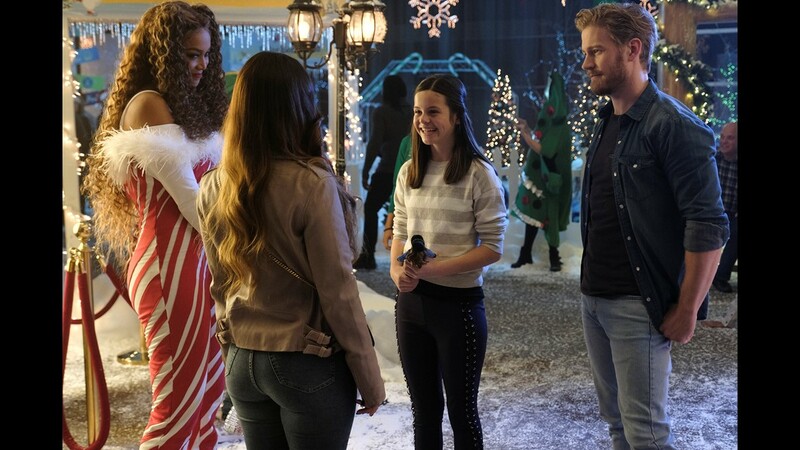 "We hope our show will inspire and entertain families and folks of all generations, and I want to thank the good folks at Netflix and Warner Bros. TV for their incredible support." 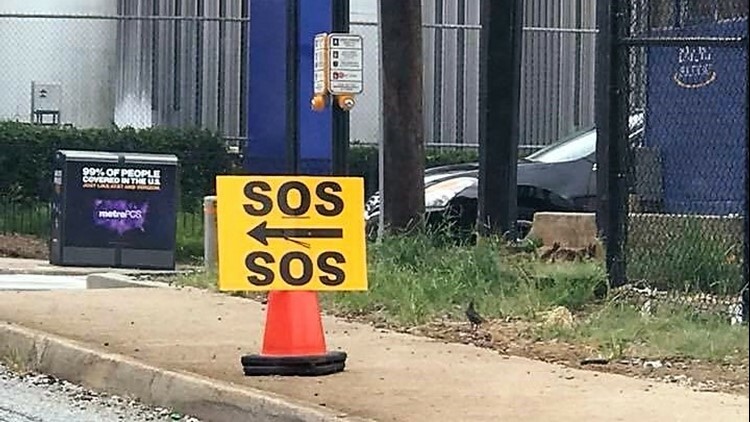 Scenes for the series have been shot in Milton and Peachtree City. Brockmire (PRODUCTION ALIAS: BM3) - The IFC comedy, “Brockmire” uses “WTM” and “BM3” for season three and four. 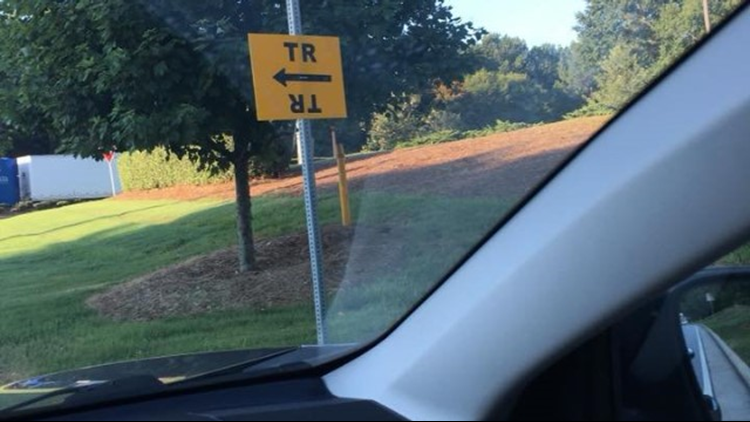 If you start seeing tons of “WTM” production signs, it could be either show filming. “Brockmire” stars Hank Azaria as a Major League Baseball announcer who has a meltdown on air after he discovers his wife cheating on him. 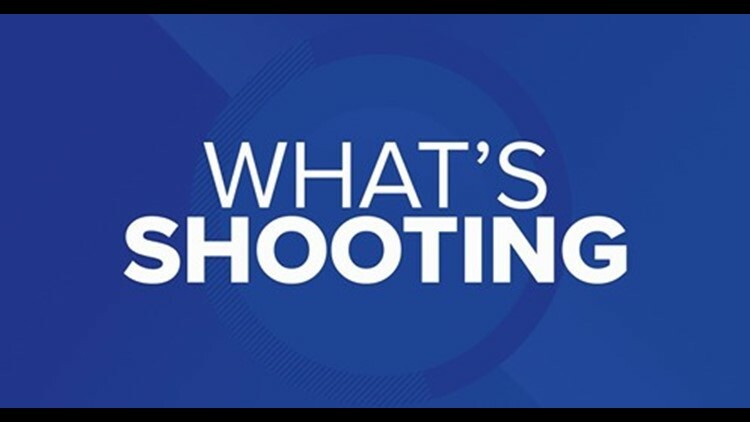 Facebook Group Member Austin Jervis shared a release from the Newton County Sheriff's office that helped us confirm that a shoot involving people with tactical experience there was for "The Passage," too. 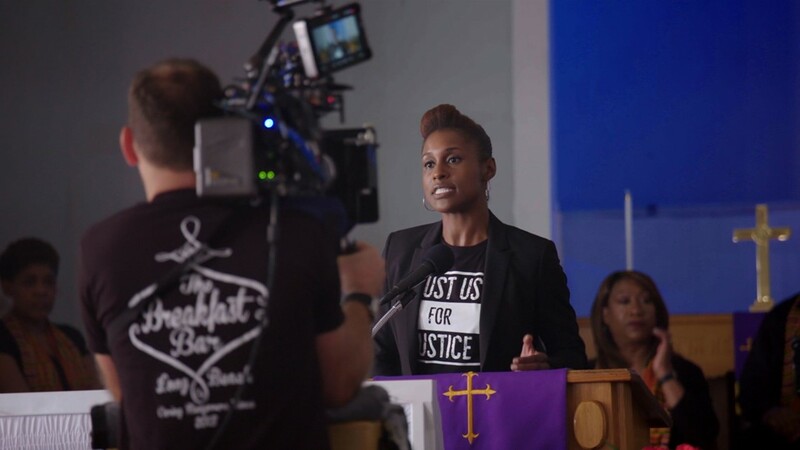 Parts of the pilot were shot in Atlanta, and the series was picked up by FOX in May. 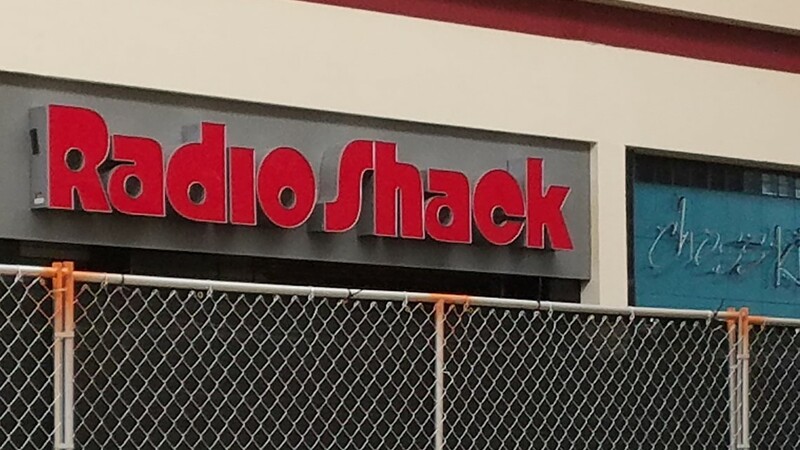 Share your sign photos with the A-Scene! 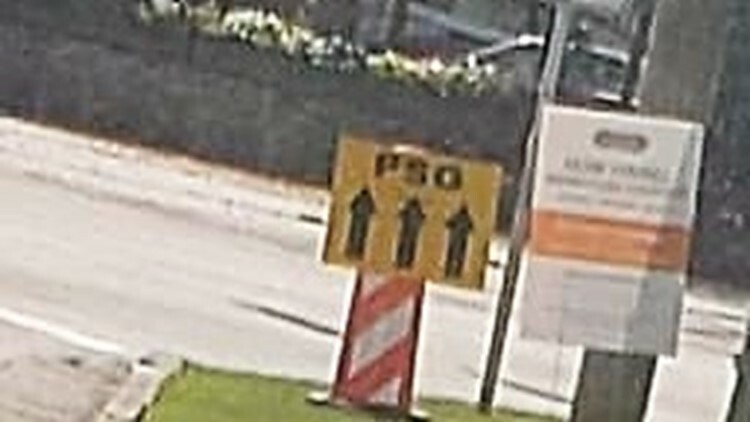 Thanks for Ronda Christian for catching this sign for 'The Passage'. It's set around an experiment on death row inmates designed to cure major illnesses. Instead, it becomes a highly contagious virus that turns people into human vampires. Humanity's only hope may be an orphan girl with the key to possibly save us all. 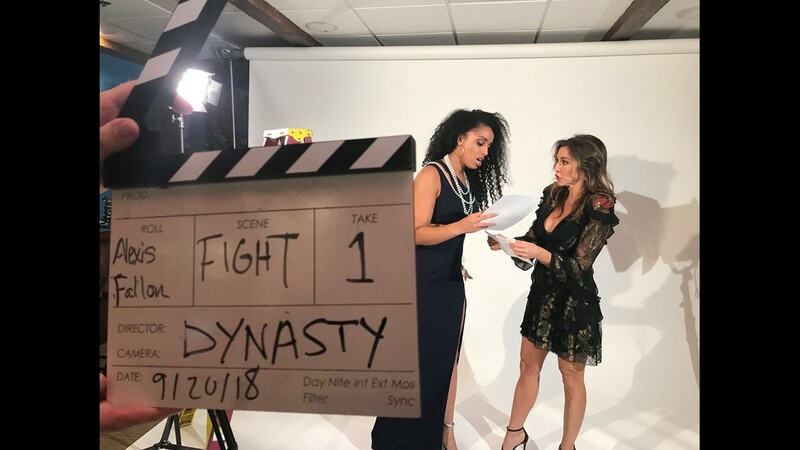 Dynasty (PRODUCTION ALIAS: CROSS EYE) - “Dynasty” comes from Josh Schwartz and Stephanie Savage, the team behind shows like “Gossip Girl” and “The O.C.” The reboot follows the same basic premise as the original, two of America’s wealthiest families feuding over their fortune. 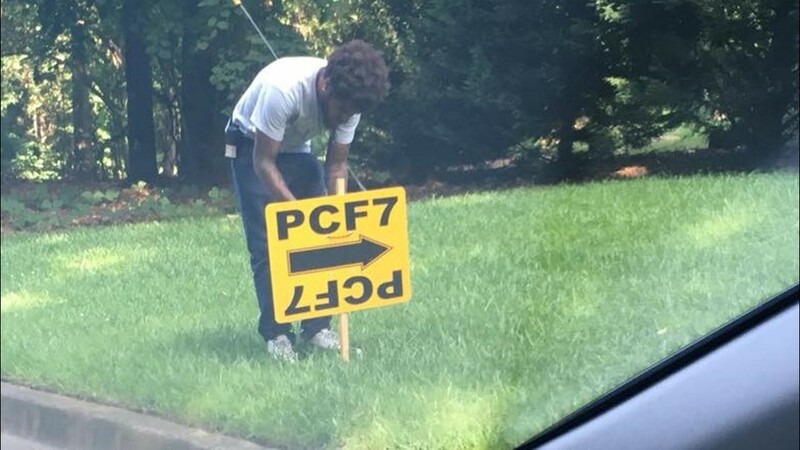 Black Lightning (PRODUCTION ALIAS: LOC) - If you see a LOC sign we need a photo! 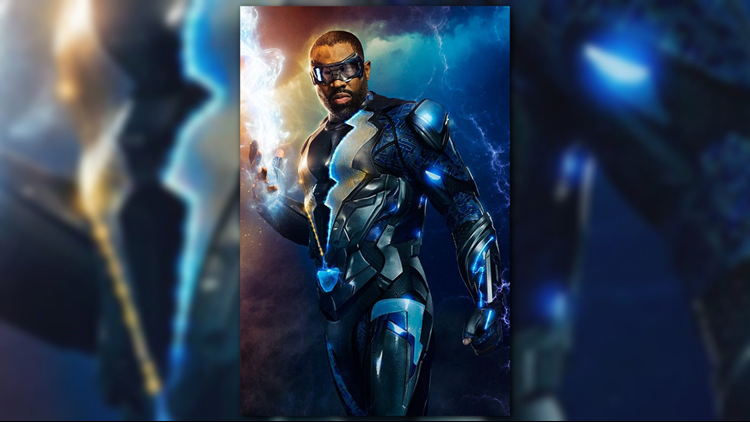 This is the code for "Black Lightning," the CW superhero series based on the D.C. comic of the same name. 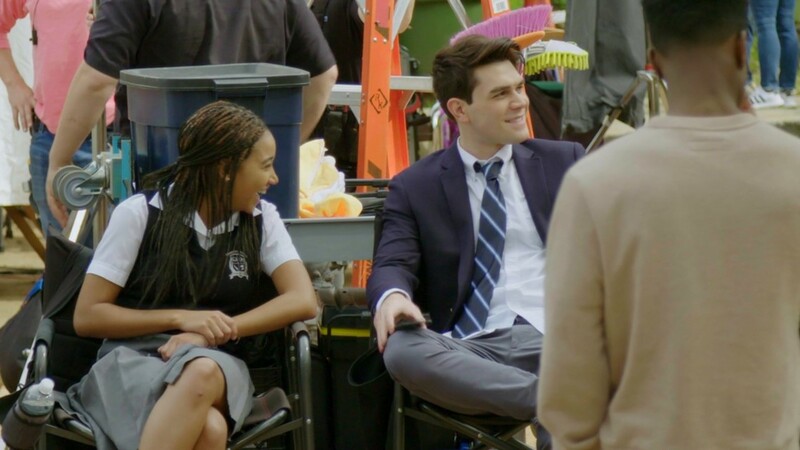 They often shoot in Decatur, where a lot of the scenes for “Garfield High” were shot in a local school. 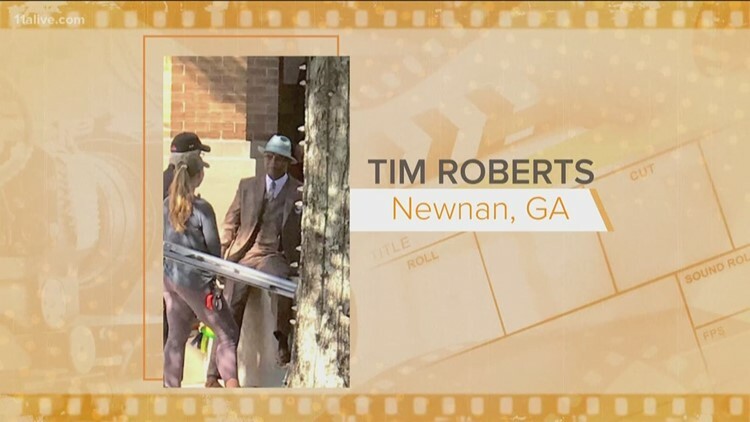 They've recently shot in Decatur and Lithonia. Thanks to Facebook A-Scene Group member Nathan Nate Mitchell for this production letter he shared recently along with some great footage of a car chase scene he caught! 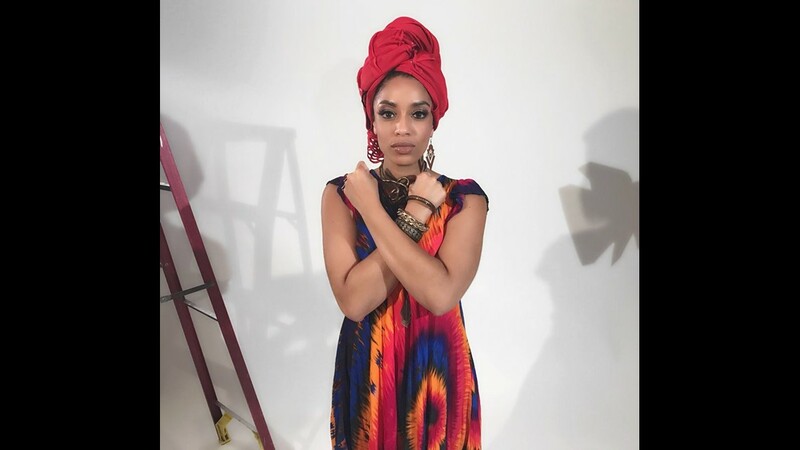 Send your production signs to the A-Scene. We'll help you crack the code! 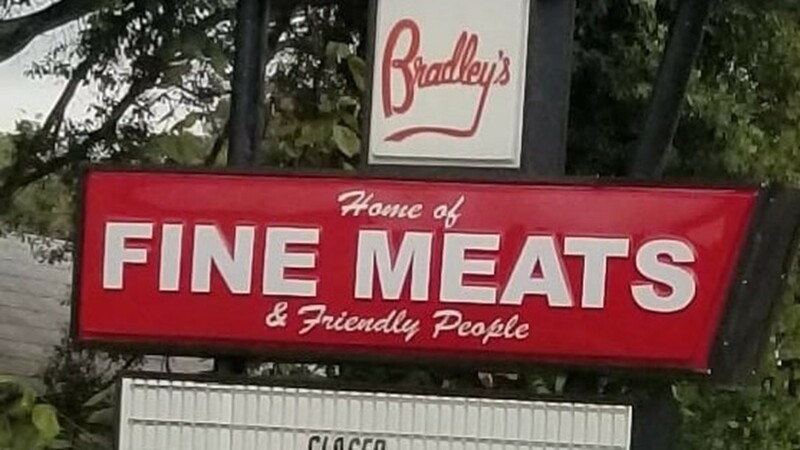 Thanks for sharing this sign from 'The Resident' Christy Benton! The Resident (PRODUCTION ALIAS: TR) - Season two of FOX’s medical drama “The Resident” is still in production in Atlanta under the code “TR”. “The Resident” follows a young doctor who’s paired with a senior resident that is as tough as he is brilliant. 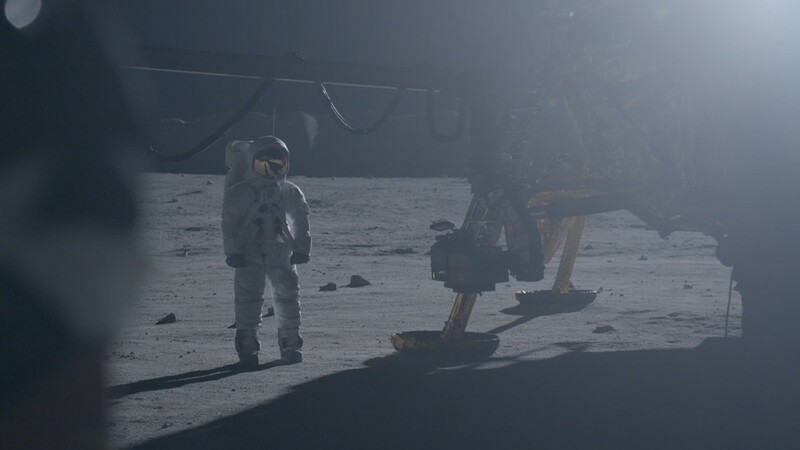 It stars Matt Czuchry, Emily VanCamp, Manish Dayal and Bruce Greenwood. 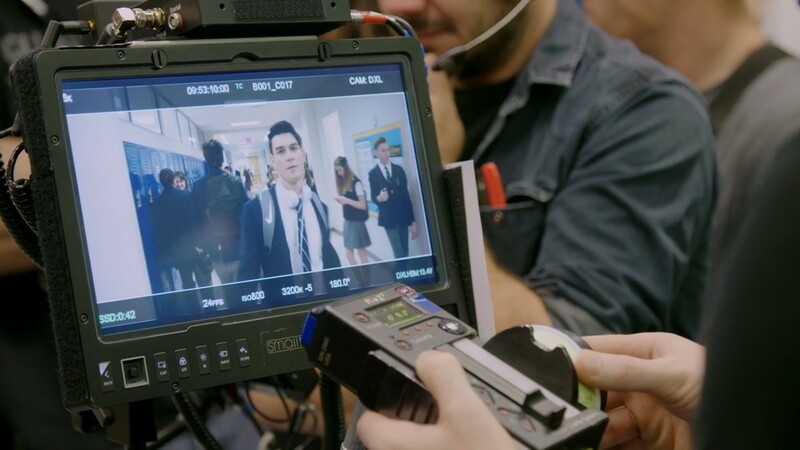 Our A-Scene Insiders continue to follow the action behind the scenes since pre-production began in July. A-SCENE AWARDS: Save the date as we award local entertainment's finest... Thursday, September 27! 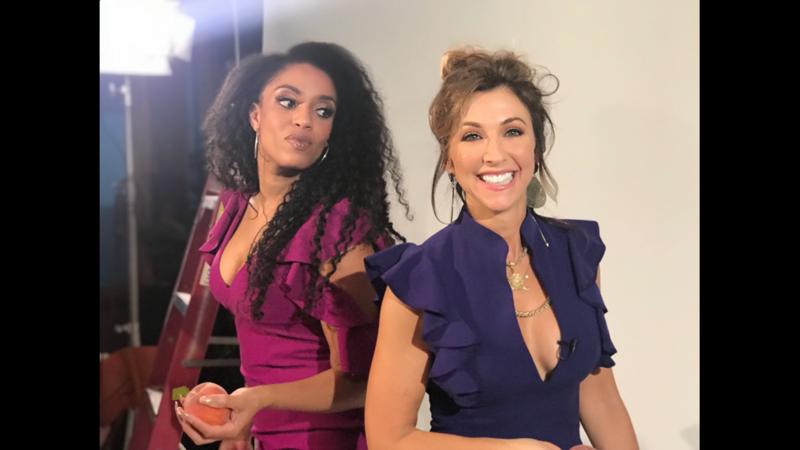 The A-Scene Awards with Francesca Amiker and Christine Pullara ~ 11:00AM on 11Alive and streaming. Send your signs and celebrity sightings to the A-Scene! StephanieRichmond-Andrews shared this sign for 'Legacies' with us! 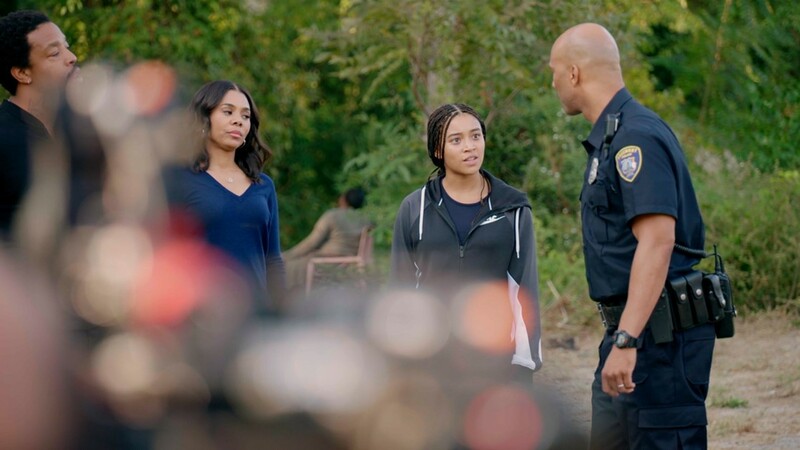 Legacies (PRODUCTION ALIAS: LGC) - "Legacies" is the next installment of the CW hit "The Vampire Diaries". They often shoot around Conyers. 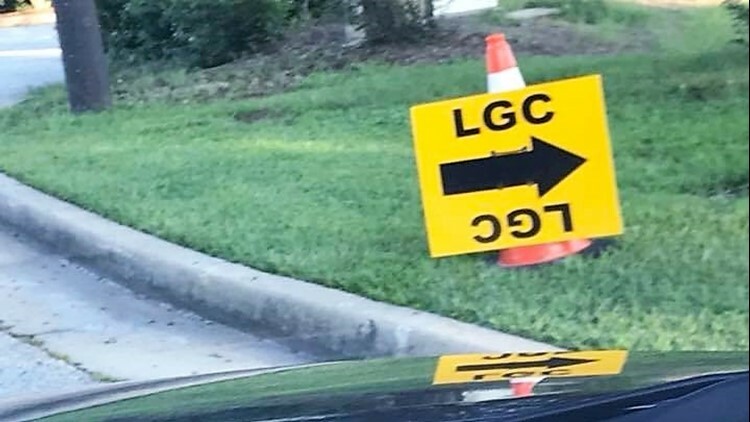 Production signs “TOGS” and “LGC” have been spotted in Conyers. 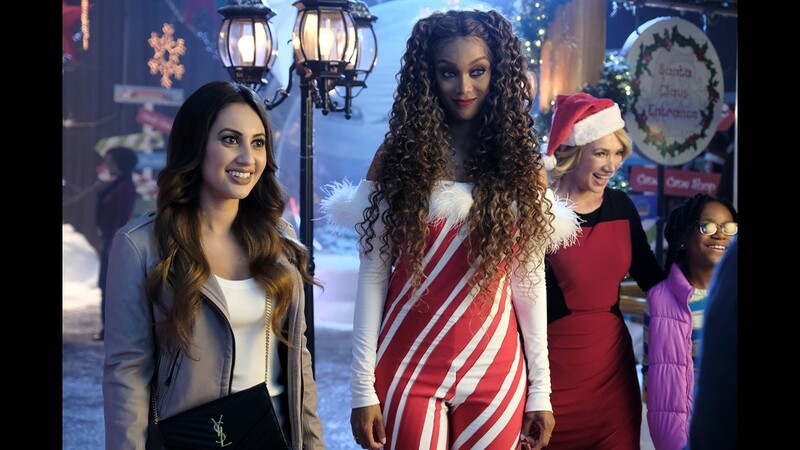 The show is a thrilling new drama that tells the story of the next generation of supernatural beings at The Salvatore Boarding School for the Young and Gifted. Just Mercy (PRODUCTION ALIAS: KIKI) - This series stars Michael B. Jordan and Jamie Foxx. The drama follows the true story of attorney Bryan Stevenson and his attempt to save an inmate sentenced to death. 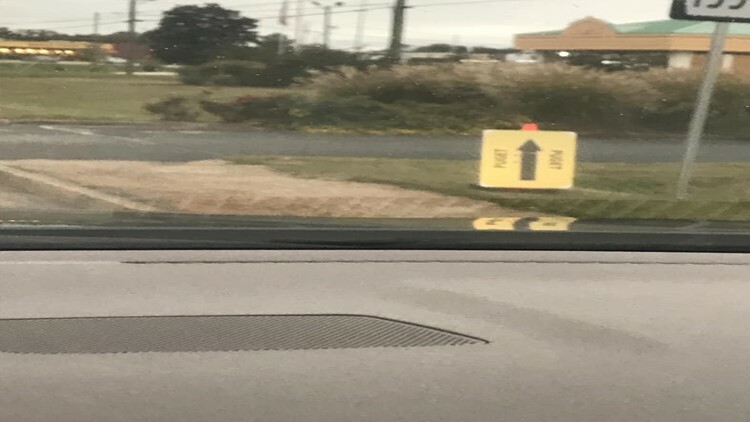 NOTE: KIKI WAS ALSO USED IN THE UPCOMING CLINT EASTWOOD FILM "THE MULE"
Watchmen (PRODUCTION ALIAS : CHAR) - The HBO series is shooting in several parts of Atlanta and Macon. It is based on the superhero graphic novel from the '80's and stars Don Johnson, Regina King, Tim Blake Nelson, Adelaide Clemens, Lewis Gossett, JR, and Andrew Howard. 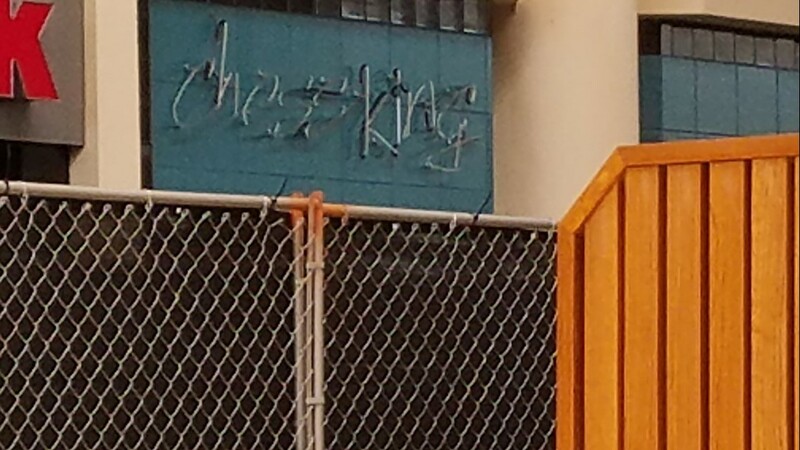 It's also one of several HBO productions that appear to be shooting under the Brooklyn code name. Another is on the life of U.S. Marshal Bass Reeves, so you may see a BKLN sign around too. Crews prepare downtown Macon for HBO shoot 'Brooklyn'. 'Watchmen' is one of the projects shooting under that code name.